At the end of last month’s thrilling instalment, you may recall that the heretofore reliable AST technology had undergone catastrophic working-properlyness failure. Episode 8 was eventually rescued by a man on a motorbike, but we couldn’t rely on that happening every time. So, I had to find a way to make sure that we could get safely through Episode 9. For reasons that now escape me, the first step involved inviting Action Dan and Science Brian to my house and feeding them steak and chips. Seriously – I’ve got to work out what they’re putting in my water. That, in his ‘how it all started’ blog, is how Science Brian described the moment he asked me to get involved in Action Science Theatre. It’s quite charming, in its way – glowing with the enthusiasm of a young Irishman making his way in a strange, faraway land, hope shining in his eyes, alight with the realisation that all his Christmases have come at yearly intervals. Now that I come to think about it, the lyrics of Chris Rea’s maudlin masterpiece are a fairly accurate description of an AST recording session at the best of times. We kind of won an award sort of! Woohoo! 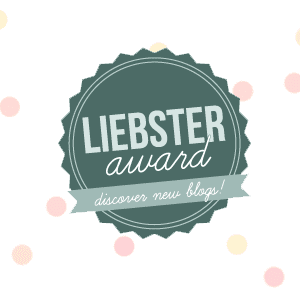 We were nominated by One Crafty Minx, who is in no way favouring us for any reason at all. As soon as we found out we cracked open the champagne Coca Cola supermarket own-brand cola. Yes, we have less than 200 followers. One day this will be a cascading success of epic proportions. One day. Action Dan and Science Brian help out by recycling jokes. In these days of climate change, peak oil, fracking and Jeremy Clarkson, it behoves us all to do our bit for the environment. And what better way to help make a greener tomorrow than with a little recycling? So, as you listen to Episode 7 of Action Science Theatre, don’t sit there thinking, “I’m sure that sound has been in the past three episodes.” Instead, rejoice in the knowledge that, by recycling sound effects, we at Action Science Theatre are contributing to greener podcasting. Hmm… need to work on my titles. Anyway, as I discussed in an earlier blog, much of my time in editing Action Science Theatre is spent trying to find or create sound effects that sound as close as possible to the real thing. Sometimes, however, the reverse is true; what you want isn’t anything like the real thing, because the real thing is too nondescript, or simply inaudible. This is where stereotypical auditory cues come in, allowing the creation of what Vincent McInerney* calls ‘mindvisible images’ – instant visualisation of what is meant to be happening. While McInerney is talking about writing rather than sound effects, similar principles apply. I’m not sure I can ever convey the wonderfulness of sugar. My greatest pleasures have come from a square lump being dropped into my case by the generous Dr Korb. Many question Korb’s methods, some even call him mad, but I have always found him an excellent companion during our time together. True, we cannot connect on a truly intellectual level, but I find us kindred spirits both looking for answers in a barren land that is not of our making. One of my pastimes is reading comics. This is a favourite. I also like leaves. Crunchy and green, what’s not to like right? As my regular reader will know, I spend a lot of time in these blogs ranting about the ludicrous sound effects that Science Brian expects me to produce. Anyone who has listened to Episode 5, then, will expect this blog to be no different. Except that… when I first read the script for Solvay-nt Abuse – and saw that I needed to create a giant ant that rumbled, rattled its cage, smashed through the bars, roared, bit a scientist’s arm off, and then proceeded to crash its way through an explicitly marble-floored hotel – I passed straight through ‘ranting’ and emerged on the far side with a sort of cheery determination. Believe me, I was as surprised as you are. And, just to clarify, Point 3 does not refer to the sound of Action Dan munching his sandwiches in the corner of the recording studio. Sometimes, just occasionally, if I tip my head to the right and hold it for long enough I develop a pain in my neck. This is a thing I have learned, a thing I have discovered through experimentation. People often say to me, “you’ll only learn in life if you try to do things”. And those people are right. Although I wish they would leave me alone, I have things to do. To learn, if you will. I remember being a child and looking up to the trapdoor in the ceiling of my parents bedroom that lead to the attic. I looked and wondered at the riches that lay up there. Fleeting glimpses of old lamps, board games, and stereo equipment being carried up there by my father were all I knew of it. Fun could surely be had, so I tried to get up there. Unaware of the location of “the ladder” (the shed as it turns out, sneaky father) I would climb on various objects and just try to reach, but to no avail.